The canyon, for having a river that runs through it for 277 miles, faces a scarcity of water in other areas. Plants and animals have come to adapt to their environment - one that can switch from intense flooding and heavy snow to extreme heat and drought quickly. Animals are primarily nocturnal in the most desolate areas. They have adapted to require less water or to be able to have more inventive methods of retrieving it. The kangaroo rat for example can metabolize water from dry seeds. Birds often leave in the hotter months, either engaging in long-distance migrations or simply making journeys to other, more hospitable parts of the canyon (Townsend solitaires and Clark’s nutcrackers favor the latter). 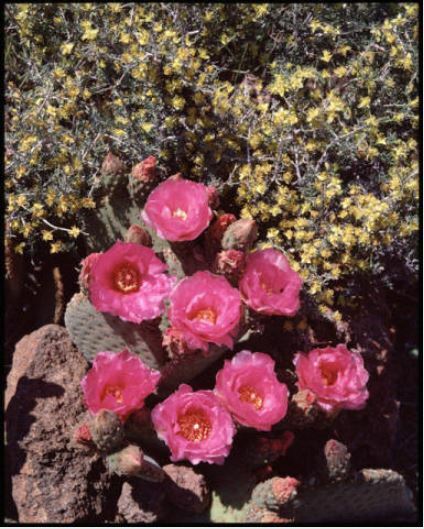 Plants do not have the option of migrating, and as such have to adapt to survive. Some perennials, like the datura, only bloom at night. This uses less energy and is timed just in time for pollinator feeding times. Annuals will often compress their life cycles down to as few as a matter of weeks. After rains, the plants will grow, bloom, drop their seeds, and die. The seeds can remain dormant for extended periods of time, waiting for the most favorable growing conditions. Some examples are phacelia, or scorpionweed. Blackbrush, named for their pitch black stems, will shed their leaves and go into a dormant state in order to retain water. 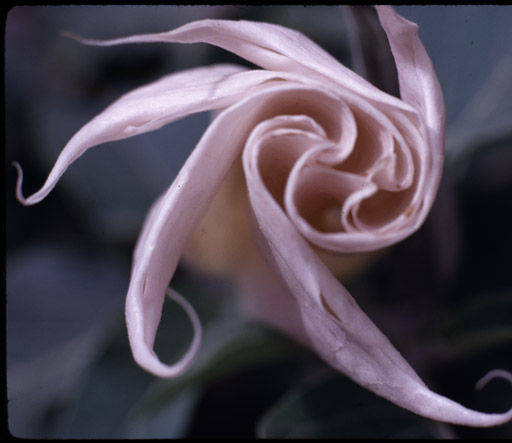 Datura blossom unfolding, Hot Na Na Wash, Grand Canyon river mile l6.3.